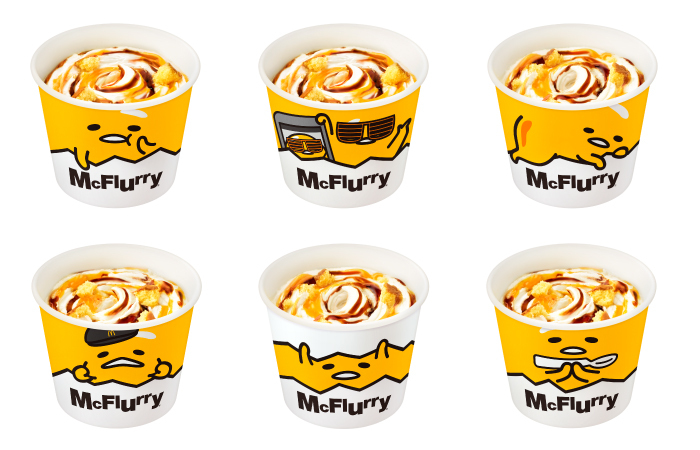 McDonald’s teamed up with popular Sanrio character Gudetama to release a brand new McFlurry. 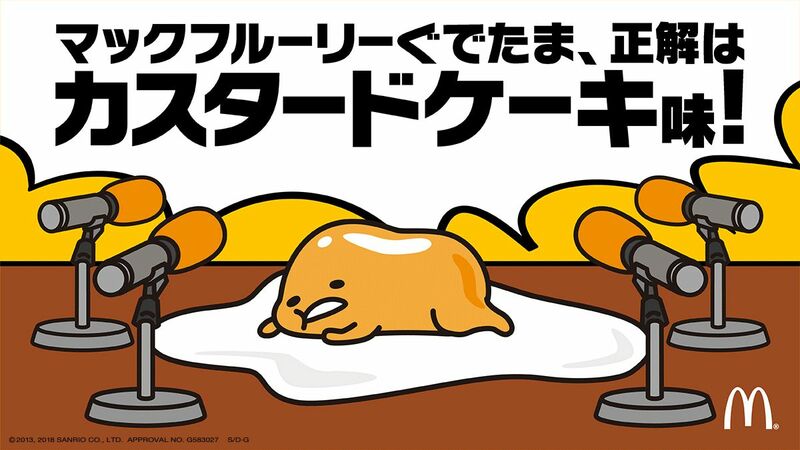 Gudetama McFluffy is currently on sale at McDonald’s branches across Japan for a limited period. McDonald’s held a Twitter campaign for people to guess the secret flavour of the McFlurry. They have finally posted the answer, and it turned out to be custard cake flavoured. The Gudetama McFlurry is made with rich milky soft serve and sponge cake made using eggs. It’s topped with two kinds of sauces – custard and caramel. The combination of the fluffy sponge cake and sweet sauce is the absolute perfect combination. When you buy one it will come in one of six limited-edition cups. And if you purchase a Happy Meal, you can get one of six possible Gudetama toys too. Be sure to stop by McDonald’s while in Japan to try the new custard cake flavoured Gudetama McFlurry! Available at most McDonald’s branches in Japan. Running: June 8, 2018 to beginning of July.